The Persians are also known as Iranians. They speak the Farsi language. They began to settle in what is now Iran around the year 1000 BC. Their religion was Zoroastrianism. They were conquered by the Arabs in the seventh century AD. Shi'a Islam became the national religion of Iran in the 16th century. Tremendous changes came again to the Persians during the Islamic revolution of 1979. Today most Persians are Shi'a muslims. Most Persians live in Iran or a nearby Middle East country. Persian communities can also be found in the US, Europe, and other parts of the world. Azerbaijani or Azari, a Turkish people, have been influenced greatly by the Persians. They have been invaded many times and are spread throughout Central Asia. Traditionally they had a clan family structure and were farmers or herders. Now many Azeri have moved to cities and towns to work in industry. They are mostly Muslims. Luri are a nomadic shepherding tribe that travel most of the year living in tents. Some Luri farm and live in permanent villages. They live in the Zagros Mountains of southwest Iran. Their language "Luri" is similar to Farsi. The Luri are Shi'a Muslims. The Luri are having serious economic and political difficulties. Most Luri children do not attend school. 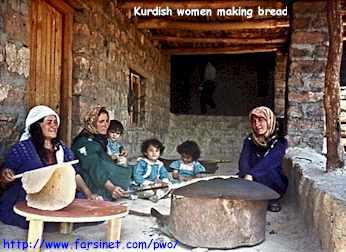 Kurd are the largest people group without a homeland. They live in parts of Turkey, Iran, and Iraq. The Northern Kurd live in a rugged area on the Turkey-Iran border. The Southern Kurd live along the Iraq-Iran border in Kermanshah and Luristan. Both groups face problems with scarce water and disease. Kurd are traditionally farmers and herders. Most Kurd now live in small villages. Nearly all are Muslim. Politically they are an oppressed people. Baluch number approximately 8 million people. The majority live in Pakistan but a significant number are in Iran. The Baluch speak various languages. They are still isolated and self-sufficient. They farm and shepherd. They are organized into tribes. They are Sunni Muslims. Their literacy rate is poor. Very little missions work is being done. Turkmen live on the northern border of Iran. There are approximately 2 million of them in Iran just south of Turkmenistan. They have lived traditionally as nomadic herdsmen. Some now live is permanent homes. They are known for their beautiful carpets. They are mostly Hanafi Sunni Muslims. Some are Shias. There is a 50% literacy rate. 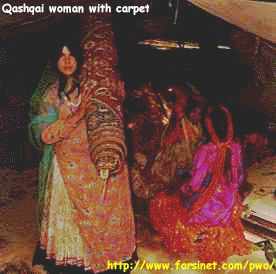 Qashqai are nomads who live in the deserts of southwest Iran. Their language "Qashqai Turki" has not been written. Most know Farsi. They are "professing" Muslims. The wealthy Qashqai own land. The more numerous lower class are shepherds, and laborers. The women are known for their weaving. They profess Islam. Parsees are located in India, Pakistan, and Iran. There are approximately 3 million Parsees in the world, with about 2 million living in Iran. They are Zoroastrian. They have no Bible in their language. by other peoples in contact with them, they are looked upon as kind, gentle, and honest. They are usually business men and professionals and find government positions. Note: "These are only a few of the 46 some people groups living in Iran. For more information on these and other groups see Index of Peoples in Iran.